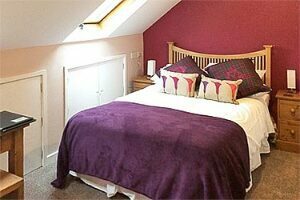 Charming limestone B and B consisting of two double, twin or family rooms with great views, guest lounge and garden. Refurbished rooms, locally sourced food and a warm welcome. On the border of the dark and white Peak, perfect for all outdoor activities and major attractions. 5 mins walk to pubs and restaurants. Dog, cyclist and muddy boot friendly. Relax and unwind in the heart of the peak.